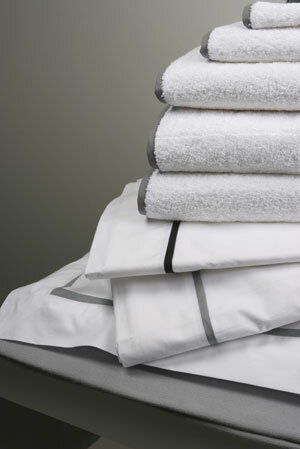 We are able to care for many different types of fabrics (cottons, linens, synthetics, blends, etc. ), colours (whites through to black), shapes (hexagonal, rectangular, round, square, etc. ), and patterns (plain, crocheted, embroidered, lace, etc.). 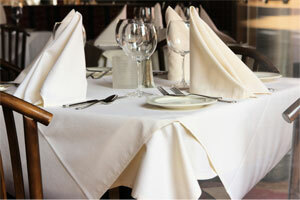 Our processes are gentle and help to prolong the life of linen, reducing its 'lifetime cost' to our customers. We have special processes for removing most stains. Large numbers of our customers request starching in order to improve the appearance and 'feel' of their linen and garments and to provide protection against staining. Starching is one of our specialties and is applied in the traditional way during washing rather than during finishing. This gives a much better result.